​Who woulda thought that the guy that has long been derided as merely a "game manager" could actually sling the ball pretty well? 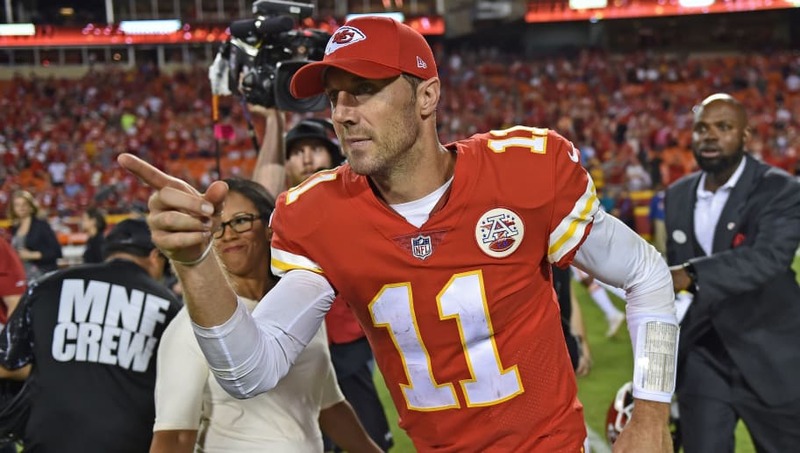 Washington Redskins quarterback Alex Smith has always been underappreciated, but this stat reveals that he is crazily efficient he is when given ample time in the pocket. Always a good thing when you're mentioned in the same breath as quarterbacks like Tom Brady, Drew Brees, Aaron Rodgers and Carson Wentz. Even better when they're looking up at you. Smith looks to start a new era of Washington Redskins football, as fans in the nation's capital must move on from Kirk Cousins following his departure for the ​Minnesota Vikings. Washington is in a loaded division that features the ​​Super Bowl champion Philadelphia Eagles. They'll have their work cut out for them if they want to return to the postseason. The Skins will open their season on the road when they face off with the ​Arizona Cardinals.